If you are looking to rent an ozone machine you’ve found it! Our ozone generator rental program allows you to rent a powerful ozone generator at an affordable price and with ease. 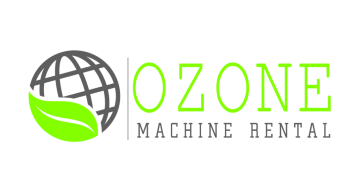 OzoneMachineRental.com allows you to affordably perform your own ozone shock treatments with our powerful O3 generators to remove smells and odors like: pet odors, mildew, smoke odor, cooking odor, urine, stuffy house smell, chemical odors, strong new carpet smell, excessive paint fumes, and so many other types of odors. We provide HIGH OUTPUT OZONE GENERATOR MACHINES as rentals throughout the United States*. You'll be more than pleased at the results that our shock level ozone machines produce and how easy they are to use! MORE POWERFUL ozone machines than any rental available! What's the Cost? How Does Rental Work? Our powerful ozone generating machines produce approx 16,000 mg/hr (16 g/hr) of ozone. You could rent less powerful ozone generators for more money elsewhere but why would you? Our machines are extremely powerful and produce superior results at removing smell, odors, and stink of all kinds. Don't worry, you can't "over do it" by using such a powerful machine. Just follow our simple instructions and you'll get the best results guaranteed. Whether you are treating a vehicle, home, or business our ozone generators are the BEST CHOICE for your odor removal job!... oh and remember, if someone is advertising an ozone machine stating "how much area it treats" and not disclosing "how much ozone it produces", be cautious because they hold back the details for a reason. We can assure you won't find a stronger machine at this price anywhere. * Free shipping in continental USA only. Free shipping to customer only. Customer responsible for return shipment to us. The best solution for do it yourself odor removal! Your source for removing pet urine odor, smoke odor, cooking odor, mildew smell, pet odors and the like for DIY consumers!